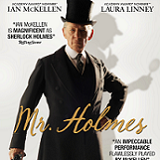 Giveaway Contest: Enter to Win One of Two Copies of Mr. Holmes! Oscar nominee Sir Ian McKellen joins fellow Academy Award nominee Laura Linney in the mysterious and intriguing Mr. Holmes, arriving on Digital HD October 27 and Blu-ray (plus Digital HD), DVD (plus Digital), and On Demand November 10 from Lionsgate Home Entertainment and Miramax. Based on Mitch Cullin's novel "A Slight Trick of the Mind," written for the screen by Jeffrey Hatcher (The Duchess), and directed by Academy Award winner Bill Condon (Best Adapted Screenplay, Gods and Monsters, 1998), Mr. Holmes finds a retired Sherlock returning to close the book on the one mystery he could never solve. Winner of the Audience Award for Best Narrative Feature at the 2015 Sydney Film Festival and released theatrically in July by Miramax and Roadside Attractions, the film is Rotten Tomatoes Certified Fresh. 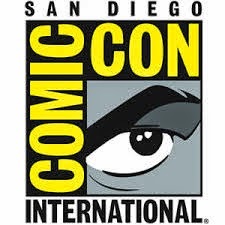 Click on the link below to try to win one of two copies from High Def Universe! Filled with an "undercurrent of warmth and humanity" (BBC.com), the home entertainment release of Mr. Holmes includes two behind-the-scenes featurettes. 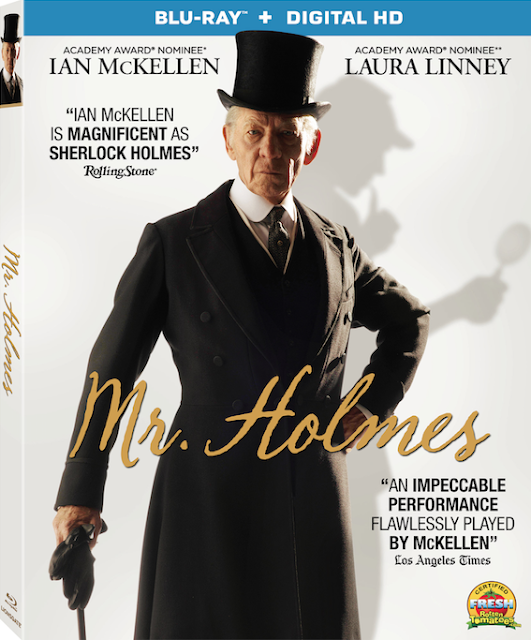 Mr. Holmes will be available on Blu-ray and DVD for the suggested retail price of $24.99 and $19.98, respectively. Missed this one, dang! :( Not that I can complain since I've already won from you guys twice recently.